One of the most frequently asked questions is how we came up with the name Tired Wolf. Janice and I were married on April 12, 1986. We both graduated from Wichita State University, Janice with an MBA and myself with a BS in Healthcare Administration. At a time when we both desired a change of career, we quit our jobs and spent the summer bicycling across the United States. After loading our bicycles on a plane we arrived at Sea-Tac airport in Seattle in May of 1986. While waiting for the Cascade Highway to be cleared of snow we spent time touring the Pacific Northwest. 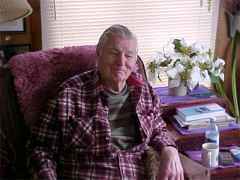 We happened to be in the small town of Sequim Washington and met a couple, Bill and Lydia Neidinger. They invited us to stay with them and they took us clam digging. That two day stay has turned in to a nearly two decade long friendship. 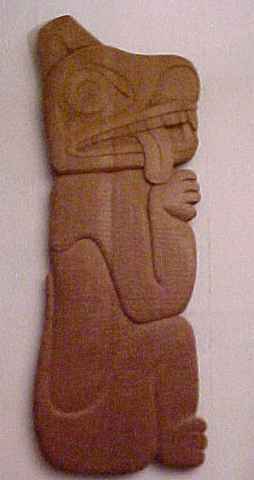 This is a picture of the carving of the tired wolf. The actual size is 18 inches by 60 inches 1 1/4 inches thick made out of one piece of cedar. In 1993 after keeping in touch every few months we flew back to visit our friends from Sequim. Bill, who retired from Boeing, was a woodcarver specializing in Pacific Northwest Native American Indian carving. During a quick tour of his shop I spied a carving of a Tired Wolf. 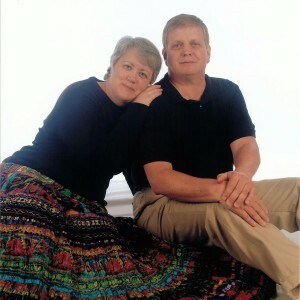 Bill said a person in Ketchikan, AL had wanted one facing to the left so he had laid out two of them, facing opposite directions, thinking the client would take both of them. Bill smiled as he told the story and said “I guess I will have to find another home for this one.” I loved the carving and I later purchased it for Janice’s birthday. We thought it would be a great business name and a way to remember our friends at the same time. We stopped to spend some time with Bill and Lydia in March 2000. 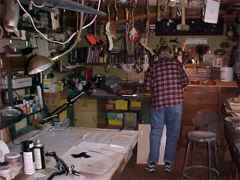 This is a picture of Bill in his wood shop. Here is Bill relaxing and renewing old friendships. We do so much enjoy their company and admire his craftsmanship. Around Christmas of 1999 we received a card from Bill and Lydia saying that Bill’s health was not good and they were selling all of his carvings and would we like to buy some of them. We went back March 2000 and purchased a thunderbird and frog and once again had a wonderful visit with our friends from Sequim. It saddened both Janice and I when, in April 2001, Bill lost his battle with cancer. One of these days we will head to Ketchikan and look for a tired wolf facing to the left.